Teachers and students are familiar with the practice diary, a notebook in which teachers write what students should be working on between lessons and students, or their parents, note how much practising has been done. When I taught children, I found the practice diary something of a chore: I would forget to write in what the student was to practise and the student would forget to write in how much practise had been done, or fabricate that amount, or simply omit to bring the notebook to lessons. After a while, I decided to approach the practice notebook in a different way and instead of me writing in instructions to students, I would ask the student to write down what needed to be done. This had several benefits: by writing in the practice notebook themselves, students paid more attention to what needed to be done, and it gave the student a sense of personal autonomy over their practising. We would also prioritise practising in numbered points to enable the student to focus on their practise goals. When I was working towards my first two performance diplomas, the practice diary became something of an obsession for me. I would note down how much time I’d spent on each piece in my programme but I paid little attention to reflecting on the practising I’d done and noting what needed to be done at the next practise session. I took a different approach while working towards the FTCL diploma and my practising notes were far more reflective and analytical. But what if we were to use the practice notebook in a different way – as a “no practice diary” in which we write down why we haven’t practised? This may seem counter-productive: surely we should be encouraging practising, because regular and intelligent practising leads to noticeable improvement (and makes lessons far more enjoyable and stimulating for student and teacher). In fact, the no practice notebook could be a very useful tool, highlighting the reasons why we aren’t doing any practising and encouraging a rethink or refocus to enable practising to take place. 1. 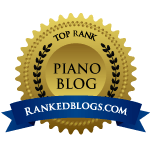 Children and young people often don’t feel like practising because there is too much else going on in their lives, or they do not feel engaged by the piano (and some may actively dislike it – see point 3). For children and young people, teachers (and parents) should try to understand why the student does not feel like practising and offer imaginative ways to re-engage them. Very young students often respond well to rewards (stickers, prizes etc) and I have found that suggesting that a student plays music they enjoy, simply for pleasure, rather than working on exam pieces or set repertoire, can re-ignite their interest. 2. See above. Try and find a time during the day when one feels ready to practise, perhaps in the morning when brain and body are alert. This may not be practical for children, but it is helpful to practise at the same time each day as this encourages a good routine, which soon feels like a normal part of one’s daily activities. 3. When I was first learning the piano as a little girl I remember being given really dull music to learn. Week after week the same piece would be up on the music desk of my teacher’s grand piano and I would have to work on it until it was “properly learnt”. Dislike of repertoire can lead to boredom and a lack of motivation. Teachers should select music which their students, whether children or adults, will enjoy playing. A good teacher knows each student’s particular tastes and will find repertoire that will appeal to that student. If you enjoy the music, you will feel more motivated to practise it. 4. See 1 above. Incorporating piano practise into one’s busy life can be a challenge, for both children and adults. Many children are over-scheduled by schoolwork and extra-curricular activities. Learning how to manage one’s time productively is an important life skill, and one with which a piano teacher can help, perhaps by suggesting that a certain time each day is set aside for piano practising. It’s worth noting that one does not need to practise for hours and hours in one session and indeed no professional musician would spend long periods at the instrument without a break. Breaking practising down into manageable segments can make it more achievable, and enjoyable. A lot can be accomplished in only 10 minutes, for example, if one knows what and how to practise. Again, a good teacher can offer guidance on this. Above all, I think it behoves all teachers to be understanding if a student is having difficulty in practising, for whatever reason, and to try and offer solutions to enable the student to practise with enjoyment and a clear sense of achievement and self-determination. Parents can also help by supporting their children, offering encouragement and liaising with the teacher when necessary. Next postMeet the student where they are…..